I have created a line of fine handcrafted tapestry bags and accessories. I pride myself in the uniqueness, versatility, and quality of my workmanship. All my bags have been designed and created from start to finish by myself. My bags range from shoulder bags that convert into backpacks, which are awesome for traveling, to day bags, evening bags, and two sizes of tote bags. 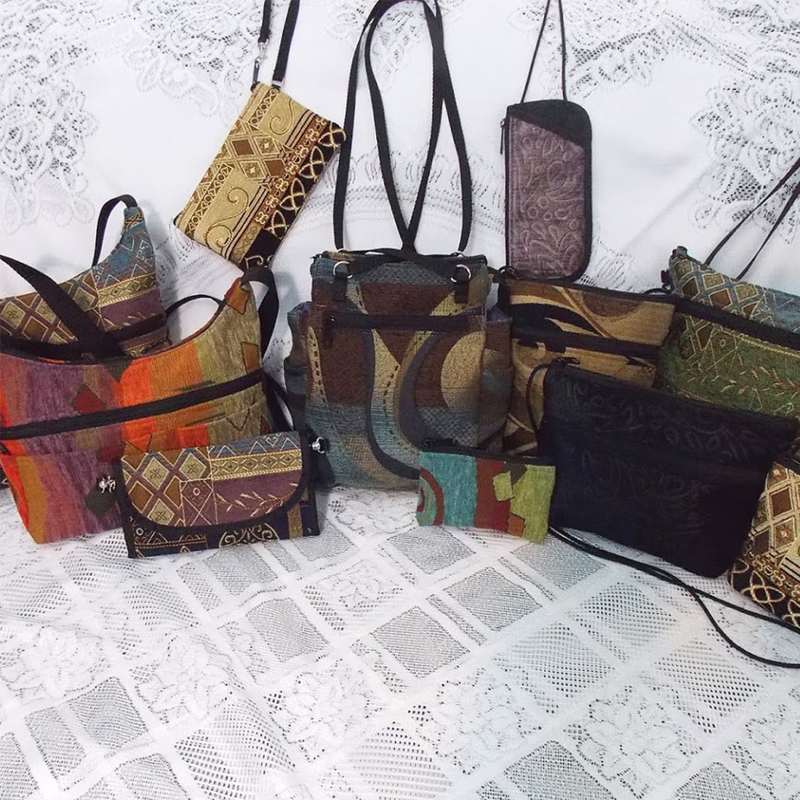 I make shoulder bags with adjustable straps, a full size wallet that can be carried on a removable adjustable strap, small bags that hang on strings, wrist-lets, checkbook covers, and change purses. My newest design is a cell phone size bag that’s just big enough for the necessities. All my bags are machine washable, cold water, gentle cycle, and line dry.